Belfast's Michelin-Starred OX and World's Best Bar, The Dead Rabbit joined forces for one very special evening at New York Harbor on the 28th September. This micro-site was used to market the event and sell tickets for the event. 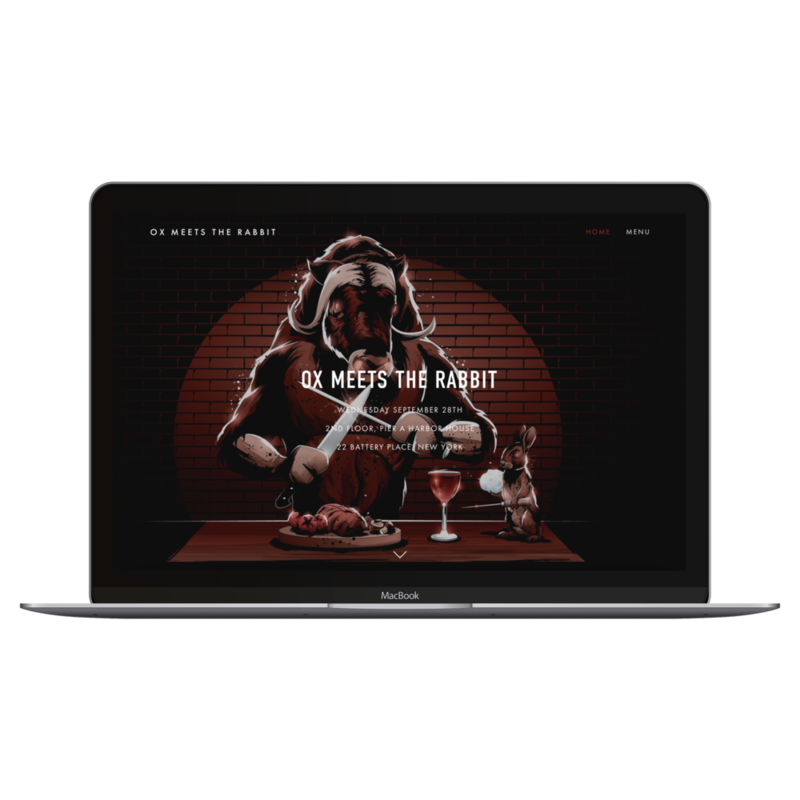 The site used parallax scrolling creating a dynamic viewing experience with 3D scrolling effects and stunning, full-screen imagery of Mark Reihill's illustration.